Oh my gosh yall, these two I could just photograph all day long! I absolutely love the special connection these two have and not to mention they are literally the nicest people ever! 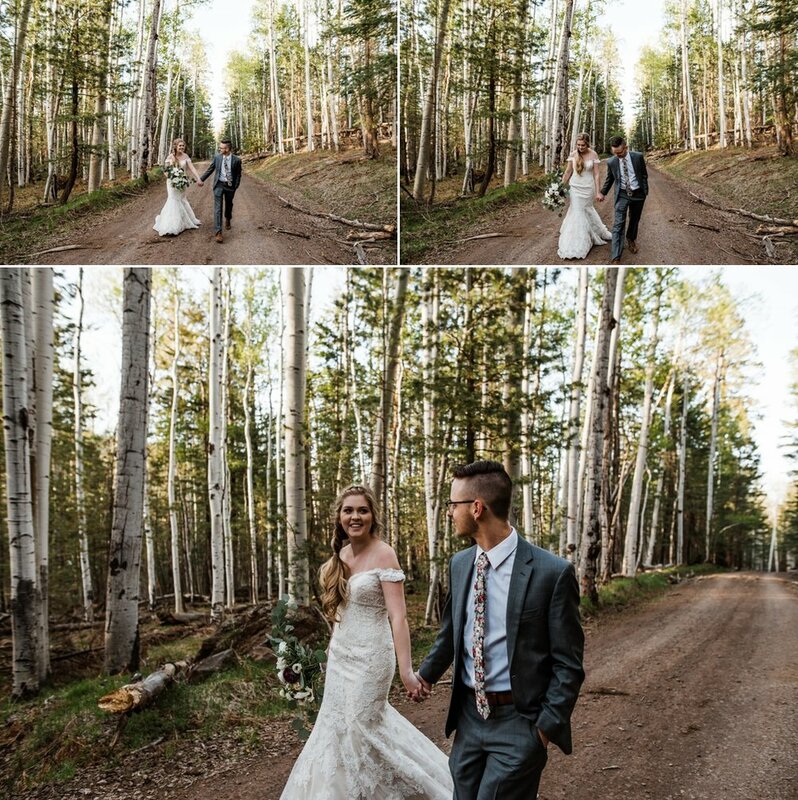 We went up to Flagstaff Arizona for a Bridal session for the books. We spent the afternoon adventuring around the woods and taking amazing pictures and catching up with these two! I absolutely love that every session that I have had with Taylor and Curtis he brings his camera and photographs is Wife. It is literally the sweetest thing and I love that he loves getting his own images of her! Also Curtis I would love to see how they turned out when you get them developed! Anywho, I had such an amazing time with you guys and I highly recommend this to all couples after their wedding if they have a dream place or want more pictures in their wedding attire, I mean who doesnt love getting back in their wedding dress..am I right ladies!!?? Enjoy these two and their session and leave a comment if you love this idea too!